This a protected feature in Microsoft Intune policy management. It is called restrict cut, copy and paste with other apps. This feature is controlled by your Intune administrator and is likely managed by a company policy installed on your device. 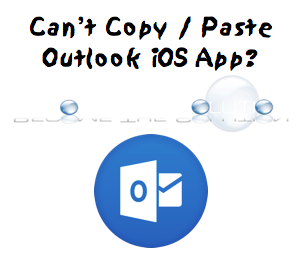 The only way around copy and paste in the Microsoft Outlook app is to take a screenshot of the media while in the Outlook app.